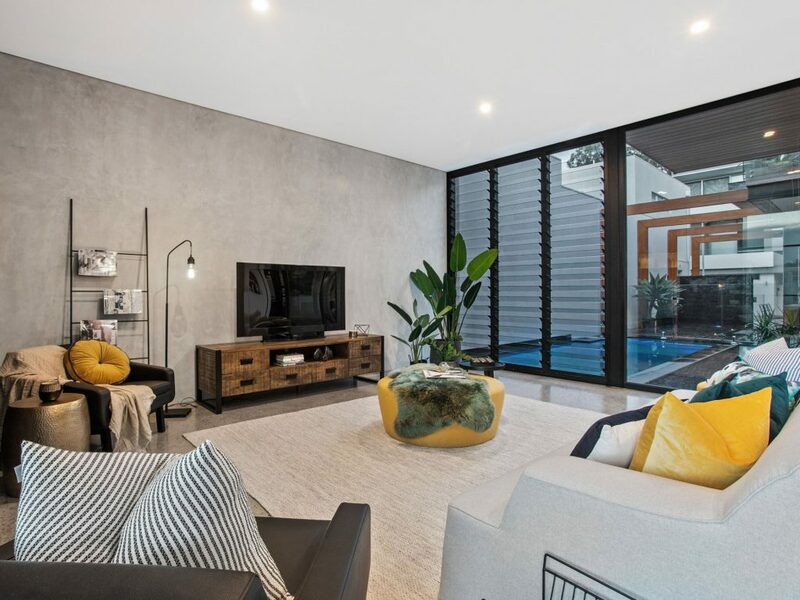 Located in one of Perth’s highest demanding suburbs, this property in Floreat did not disappoint. This spectacular three-level home blows you away, even before entering the front door with its stunning cedar-clad façade. 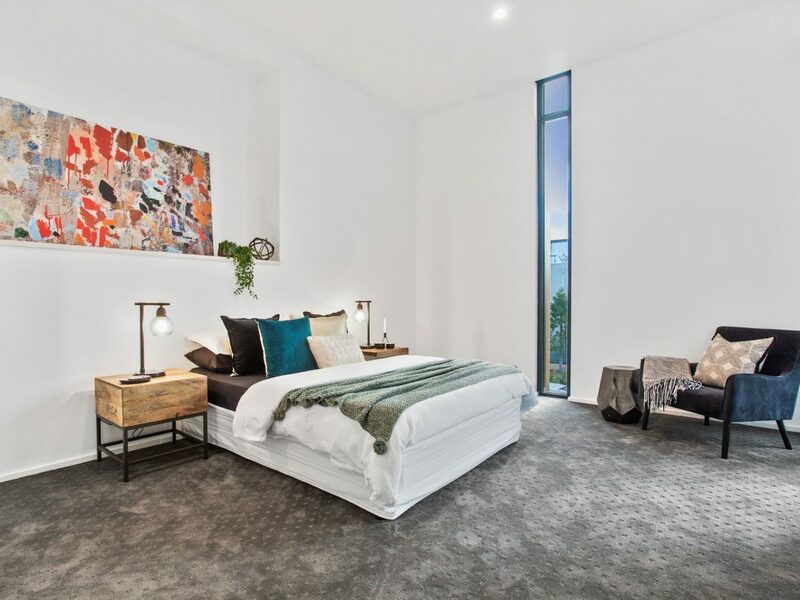 On the ground floor there are two generous sized bedrooms with private ensuites, a separate kitchenette and a great entertaining area for family and friends. Moving up onto the first floor, a beautiful feature wine rack and luxurious kitchen awaited us. 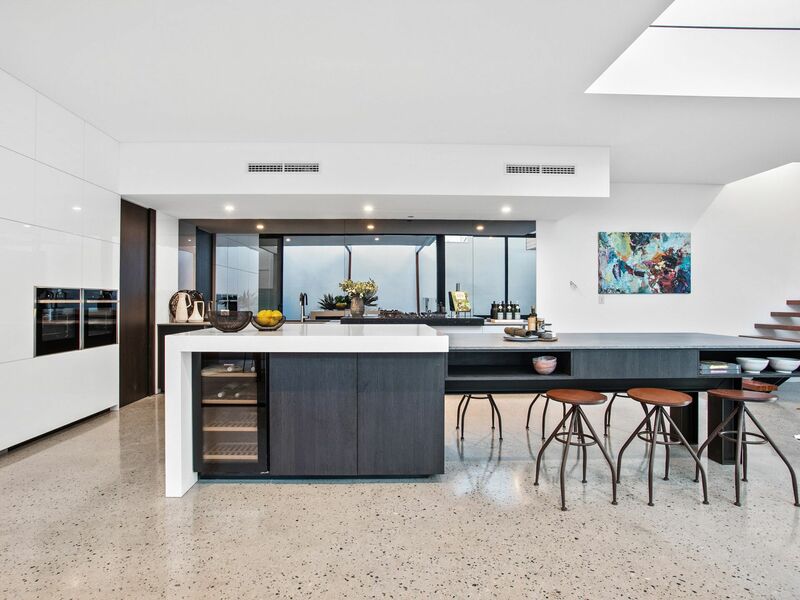 Anchored by an incredible Caesarstone concrete island bench – this kitchen will be the talk of the night for the new owners. The second floor has been designed to provide you with an escape away, with panoramic views, a roof top oasis and even a separate studio! 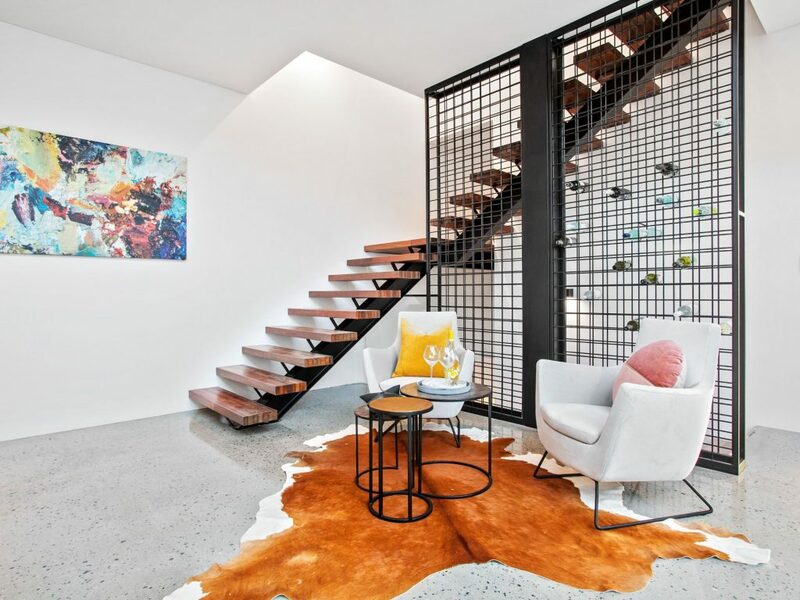 We knew the styling for this property had to stand out and make a statement, while still complimenting the property’s unique finishes; such as the concrete island bench and the textured feature walls. We used bright splashes of colour, mixed with a variety of materials to create interest and warmth. Furthermore, as the living areas were quite large, we paid close attention to ensuring these zones presented full and functional, with optimal flow. This property was truly unique, capturing innovative design like no other.